The best alternative thing to achieve uniform consistency from the material is opting for rotary table feeder. While there is a time to think about purchasing rotary table feeder, prefer Shakti Engineering works. If you think to buy Rotary Table Feeder for Guar Gum Split Plant, priority should be given towards Shakti to give value to your money. 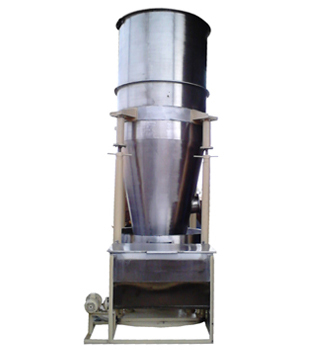 It is widely suitable for extracting and feeding free flow of powder and granular materials. This feeder is able to achieve proper flow of lumpy materials from a silo at controlled rate. The best quality raw material stands for a prolonged lifetime. Products are available in different capacities and also offered at different market prices. This product is not having higher demand in domestic areas, but also in the International market especially in the areas of Guar Gum Powder Plant. It is mainly due to durability, reliability, and operability. We guarantee that every product of our brand is well furnished. As our products are designed with highly experienced engineers, quality is ever guaranteed. This entry was posted in Rotary Table Feeder and tagged Rotary Table Feeder, Rotary Table Feeder Manufacturer, Table Feeder India. Bookmark the permalink.